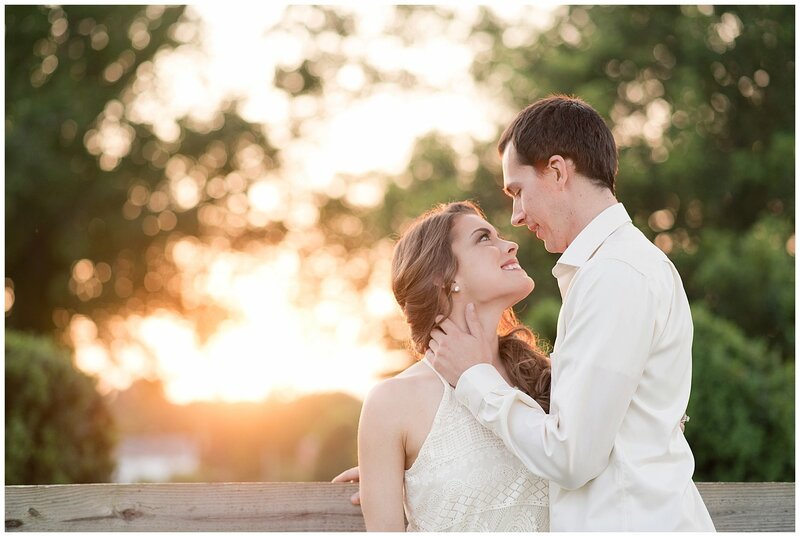 There are few things in life we enjoy more than a great sunset and taking pictures of a beautiful couple. 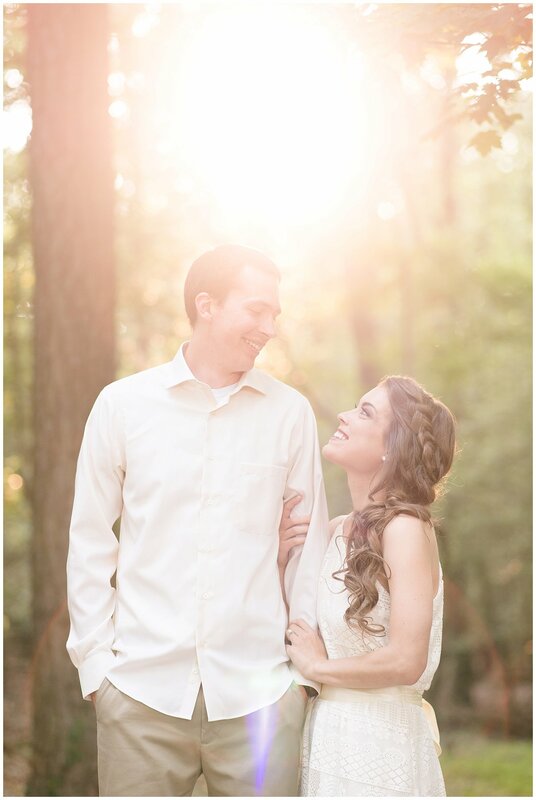 And contrary to what they said, Katelyn & Jimmy are naturals in front of the camera. In fact, they are magnetic. Katelyn is truly beautiful, but when she looks up at Jimmy, she lights up. 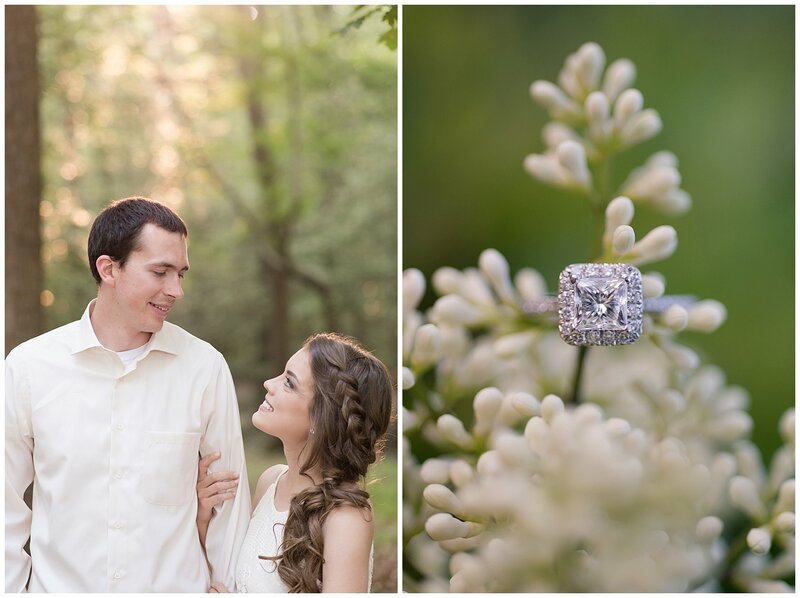 We had such a great time getting to know them during their session. We laughed and joked, walking from place to place around the park. We love a session that we walk away from feeling like we just made friends, rather than clients. It makes us even more excited for their upcoming wedding. July can’t come soon enough! 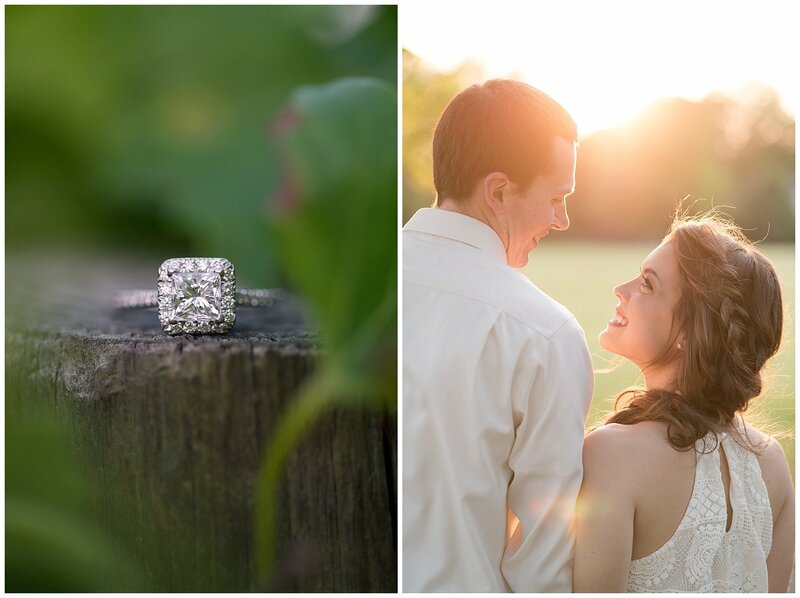 We were blessed, yet again, by a beautiful golden hour sunset session at Windsor Castle Park in Smithfield, VA. We are becoming frequent visitors to this park, but we don’t mind because the options are endless! The park is so peaceful, the greenery is beautiful and the sunsets are awe-worthy. Add an adorable couple in front of our camera and what more could we ask for? 🙂 Happy Wednesday, friends!